I really like the modern design of the vRoom! 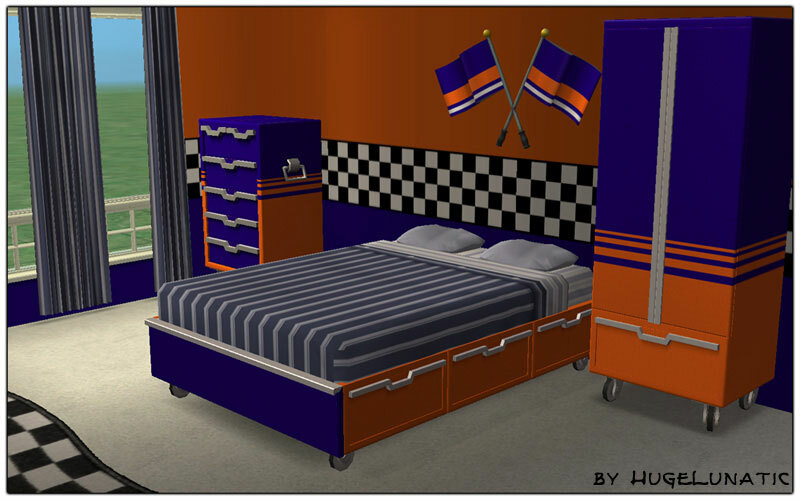 bedroom set by Maxis. But the lack of a decent bed for teens or adults drove (ha pun! ) me to never use the set. 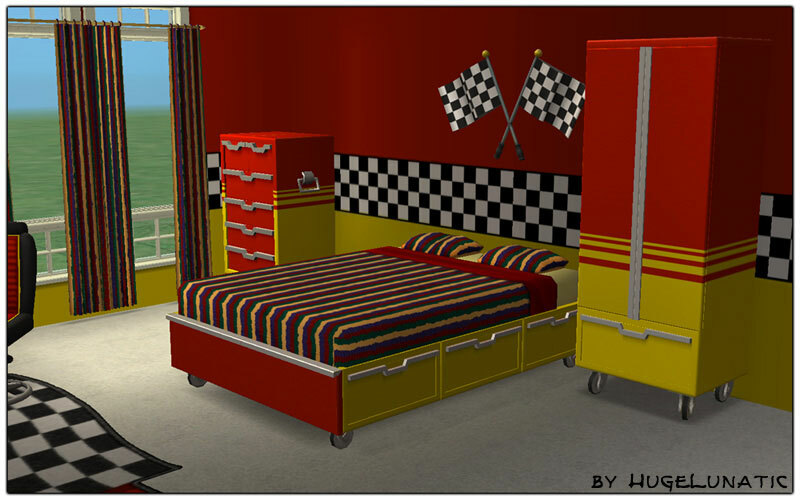 PlasticBox's modern recolors pushed this project off of my wish list and to the top of my to-do list. I am happy it finally worked out. 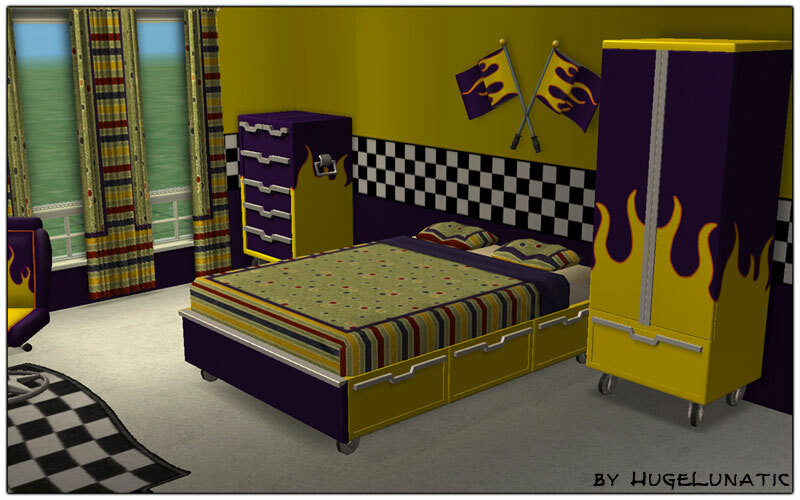 These require Seasons EP as they take there textures from the original Maxis Armoir. You can have either the single or double or both. 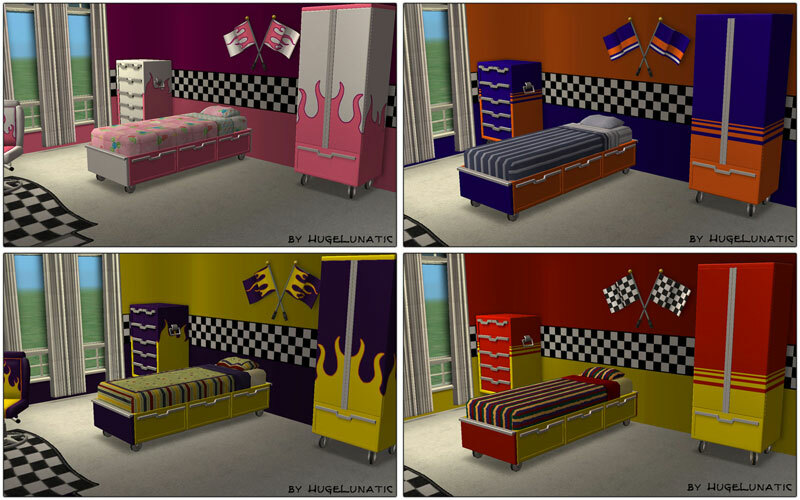 The double bed contains all four recolors that Maxis gave us for the bedroom set, the single bed takes all its colors from the double. These require the Pets EP. PLEASE make sure to download the right one for your game configuration! Each one uses the same GUID's, because seriously you don't need all three at once! If you would like to recolor, the mapping is the same as the armoire. You may recolor and include meshes with credit and link back here. You may include these in your lot uploads, but must always remain free. And please be sure to link back here. Thanks to Numenor for his tutorial on UVMapping, which finally after 2 years makes sense. SimAddict99 and MsBarrows for the tutorials on the Repository/Slave technique.